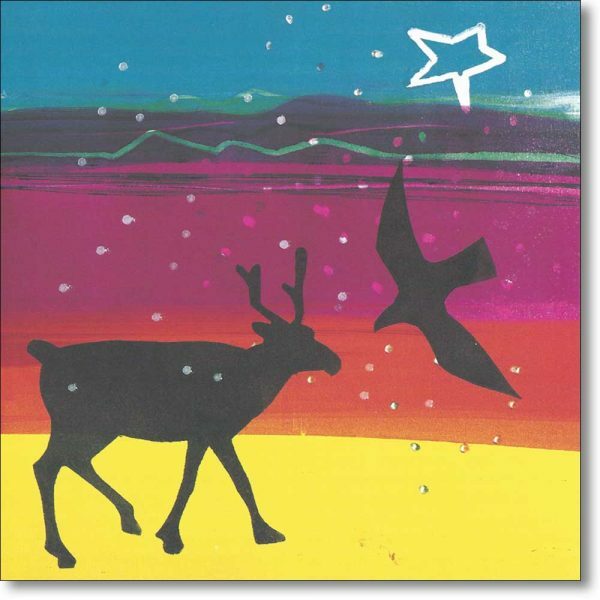 Taken from a silkscreen by Barbara Rae RA, these Christmas cards are from ArtPress. The boxed wallet contains ten Christmas cards of the same design. Dr Barbara Rae CBE RA is an outstanding painter, printmaker and colourist whose work is held in public and private collections worldwide. Rae’s subject matter, often expressed in semi-abstracted terms, tends to be socio-political depicting the history of a place and its people. 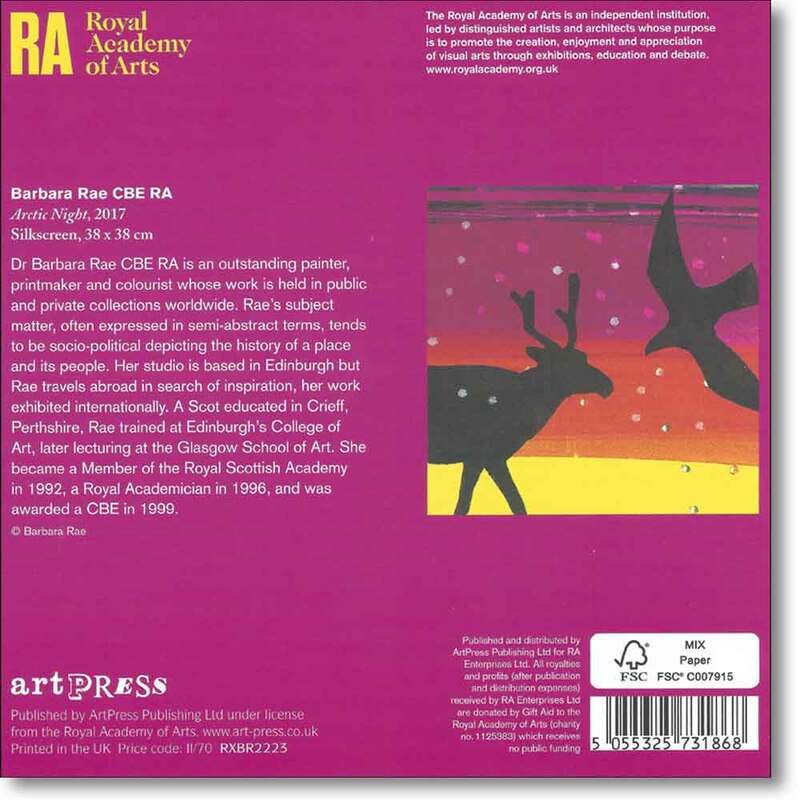 Her studio is based in Edinburgh but Rae travels abroad in search of inspiration, her work exhibited internationally. A Scot educated in Crieff, Perthshire, Rae trained at Edinburgh’s College of Art, later lecturing at the Glasgow School of Art. She became a Member of the Royal Scottish Academy in 1992, a Royal Academician in 1996, and was awarded a CBE in 1999.